It has been just over 16 years to the day that Congress first passed the authorizations of military force after the Sept. 11, 2001, attacks. Although Congress never intended them to serve as the underpinning to combat operations in countries from Yemen to Somalia, much less against groups like the Islamic State, the Senate on Wednesday rejected an effort to repeal them. 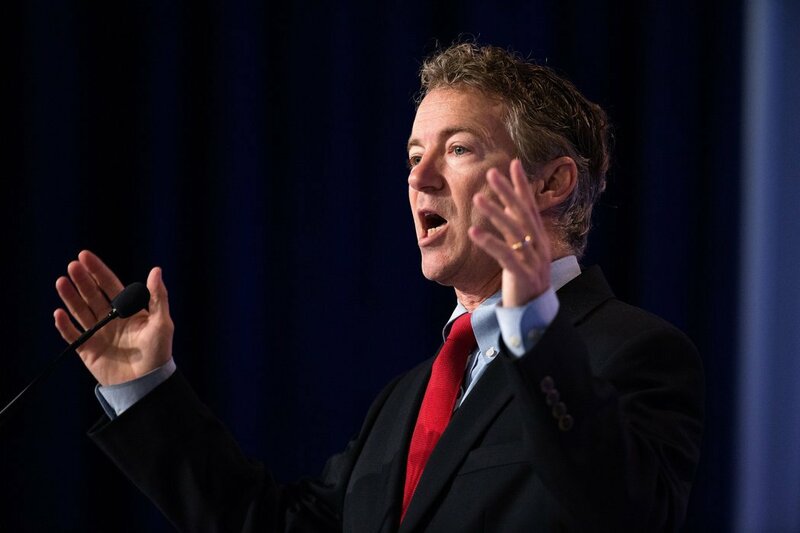 Paul continued, "We are supposed to be a voice that debates and says, 'Should we go to war?' It's part of doing our job. It’s about grabbing power back and saying this is a Senate prerogative." Our Founding Fathers made it very difficult for Americans to be sent to war. They had witnessed centuries of tyranny strengthening itself in countries where kings and parliaments used their own people as pawns and slaves in self-serving wars for more power and self-aggrandizement. So the Constitution they crafted did not grant the president any authority to unilaterally attack other nations. You see, the President of these United States is not the Commander in Chief of the army until Congress declares him so through a declaration of war. The operative clauses to look up here are Article I, Section 8, Clause 11 of the U.S. Constitution, which grants Congress the power to declare war. The President, meanwhile, derives the power to direct the military after a Congressional declaration of war from Article II, Section 2, which names the President Commander-in-Chief of the Armed Forces. So while cooperation between the President and Congress regarding military affairs is required, only Congress has the authority to attack or “declare” war, not the President. Unfortunately, throughout the 20th and 21st centuries, many Presidents have engaged in military operations without express Congressional consent. The Korean War, the Vietnam War, Operation Desert Storm, the Afghanistan War of 2001, and the Iraq War of 2002 are some examples. Make no mistake, Congress has the duty and responsibility to debate and discover if, in fact, there is a need for war before they allow the young men and women of our armed forces to be put in harm’s way.